Using Hickory Wood Pellets in your pellet grill will add a rich, smoky, bacon like flavor. Hickory wood pellets are the most widely used pellets in barbecue and is the preferred pellet for beefs and porks when smoking. If overwhelming it is suggested you mix with oak or apple pellets to make the taste more mild. A rich, smoky, bacon like flavor. The most widely used pellets in barbecue. 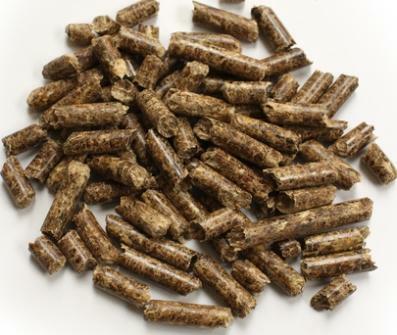 CookingPellets is our favorite wood pellet for using in pellets grills as is is 100% hickory wood with no fillers. The 40lb bag is sold through Amazon and in our opinion the best deal. Traeger wood pellets are one of the most popular brands and you can get them locally at most of your big box stores. Below is the cheapest price for Traeger Hickory Pellets . You can compare all the prices from major retailers under the “Deals” section. Below is the cheapest price for Louisiana Grills Hickory Pellets . You can compare all the prices from major retailers under the “Deals” section. Louisiana Grills Flavored Wood Pellets Hickory 40 Lb. Camp Chef Hickory wood pellets are another popular brand of pellets and you can get them locally at most of your big box stores. Below is the cheapest price for Camp Chef Hickory Pellets . You can compare all the prices from major retailers under the “Deals” section. Camp Chef PLHK Bag of Premium Hardwood Hickory Pellets for Smoker, 20 lb.